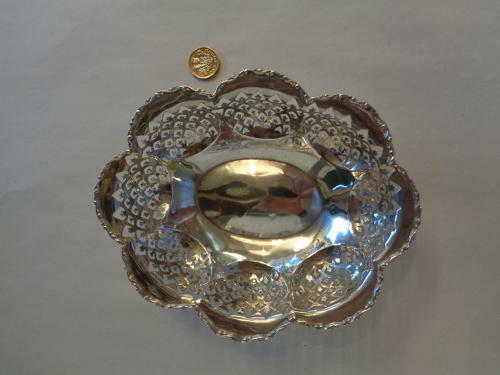 Lovely Solid Silver Dish with Pierced Decoration. Hallmarked Birmingham 1920 by maker S.Blanckensee & Sons Ltd.
Weighs 187.6grams, Measures 20.5cms by 17cms and 5cms high. A couple of small dings commensurate with its age.